OSWEGO, NY – After taking one week off for graduation weekend, Oswego Speedway is back at it this Saturday, June 30 with Davis Bros. Inc. Grand Prix Night featuring fireworks and 110 laps of feature racing action. Extra distances will be on the racing card with the Novelis Supermodifieds turning 75 laps, and the Pathfinder Bank SBS taking on the Steel Palace for 35 circuits. This weekend’s featured race night partner, Davis Bros. Inc., is located on County Route 4 in Oswego. Davis Bros. Inc. has provided the best in whole sale food distribution since 1961. For more information be sure to contact Davis Bros. Inc. at (315) 343-6933. The Speedway has competed on the celebrated 4th of July Weekend since 1953 with 30 different winners in its headline division. Open-wheel racing icon Bentley Warren leads all drivers with seven career wins while Nolan Swift, Jim Shampine, Ed Bellinger Jr., and Doug Didero are all tied with four wins a piece. Joey Payne won last season’s event in the Strong Racing No. 99. Expected to be back in competition this Saturday night for the first time since opening day is Boise, ID native Davey Hamilton. Hamilton, the winner of the 1997 Budweiser International Classic and now an Indy Car team owner, finished 2nd on opening day in the Nicotra Racing No. 6 and is again scheduled to be in that ride this Saturday. After the fifth race of the Speedway season two weeks ago, the championship point battle in both the Novelis Supermodified and Pathfinder Bank SBS Series remain close. 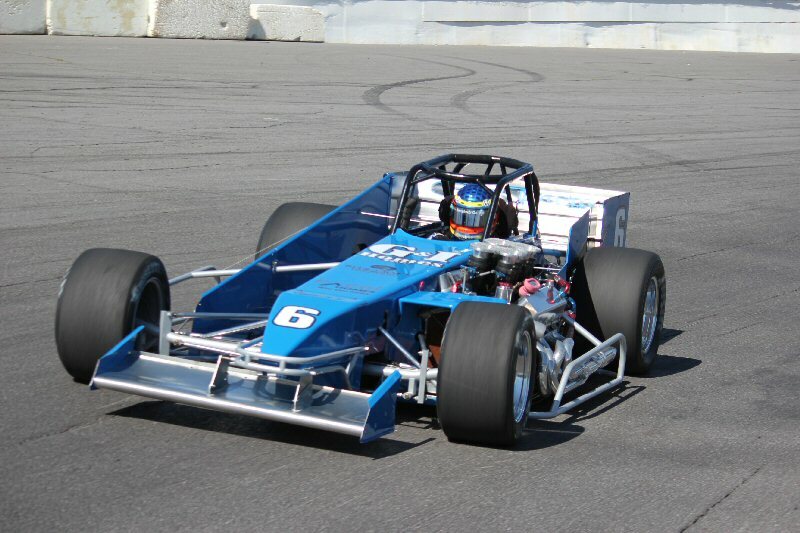 Canajoharie wheelman Otto Sitterly continues to lead the way in the Supermodified division on the strength of his back-to-back wins to start the season. Two weeks ago Sitterly found the third turn foam late in the Universal Metal Works 50 trying to make his way around Dave Gruel. 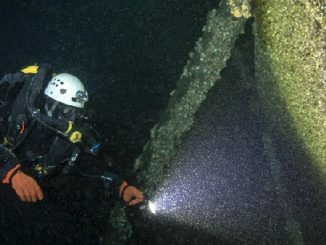 A 14th place overall finish saw Sitterly’s point lead decrease dramatically. A 41 point lead over Pat Lavery has how shrunk to just 20. Sitterly is scheduled to be at the Speedway this Friday from 4:30-8:30 p.m. for Fast Friday hot laps in preparation for Saturday’s big 75 lap event. According to Fast Friday registrations, Sitterly has signed up two cars for the test session, with one possibly being the brand new Hawk Chassis scheduled for debut this season. Also scheduled for hot laps on Friday in the Supermodified division are Ray and Kody Graham, as well as Dave McKnight who is looking to make his first event of the season on Saturday in the Syrell Racing No. 08. Pathfinder Bank SBS regular David LaTulip is also listed as a participant on Friday night. Grandstand admission to Fast Friday test sessions is free, and fans may have their first chance this Friday to see both of the latest Supermodified creations at the Speedway at the same time with the Graham Racing Xtreme No. 90 in attendance. The man chasing down Sittelry in the Novelis Supermodified championship is the driver of the No. 22 Pat Lavery, of Oswego. Lavery again stormed through the field late two weeks ago with several daring outside restart passes to give himself yet another podium finish on June 16. He now trails Sitterly by just 20 points in his search for his first championship as well as his first feature win. Hawthorne, NJ driver Joey Payne continues to climb the standings in the Supermodified division, now sitting in the 3rd spot overall. Payne brought home an 8th place finish on June 16, but continues to be a model of consistency as he trails Lavery by only 21 points for the runner-up position in the standings. Last season, Payne was the big winner on 4th of July Weekend taking the checkers in the Strong Racing No. 99. Fulton’s Dave Gruel impressed many at the Speedway two weeks ago, first by simply making it back to the track after his fiery incident on June 9 in the Speedway’s second turn. Gruel continued to impress as the night wore on battling Lavery, Tim Snyder, and Brian Sobus for a Top 5 finish in the main event. After sitting 2nd in the championship in the early part of the season, Gruel now rides 4th overall but is by no means out of the hunt just 11 points behind Payne. Completing the Top 5 in the standings after five events is Liverpool pilot Brian Sobus in No. 60. Sobus, competing in his second full season and first behind the wheel of the former Kody Graham No. 21, looks like a veteran in 2012. Two weeks ago Sobus nailed down yet another Top 10 finish, completing all 50 laps in the 6th position on the heels of Gruel. A former standout in the Pathfinder Bank SBS Series, Sobus is the latest successful graduate of the division. Finishing the Top 10 in the Supermodified standings are Dave Danzer, Dan Connors Jr., Mike Barnes, Tim Snyder, and Randy Ritskes. Supermodified Rookie of the Year contender Dave Cliff finally managed to work the bugs out of the No. 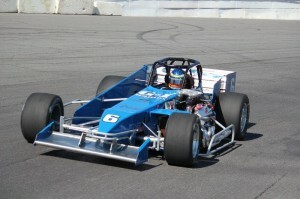 06 Supermodified on June 16, turning competitive times and qualifying for the 50 lap main event through his heat race. Unfortunately for Cliff, he was involved in a first lap third turn incident with 10 other cars relegating the former SBS champion to a 17th place finish. The Pathfinder Bank SBS Series standings could not have been tighter heading into the action of two weeks ago. With Rob Pullen and Mike Bond each finishing on the podium yet again, the point race loosens up some, but remains wildly close. Mexico’s Bond, who has yet to pick up a feature win this season, now leads the point standings for the first time in 2012. The No. 26 holds an 11 point advantage on Pullen for the top spot as the Solazzo team looks to earn their second consecutive series title. Pullen, of Oswego, became the first driver to win two SBS features this season back on June 16. His second drive to Chris Nelson Insurance Victory Lane has propelled him to 2nd in the overall standings behind Bond, but just three points ahead of Fort Plain driver Kreig Heroth. Heroth, like Bond, has yet to pick up a win in 2012 but continues to rack up top finishes in the No. 04. Consistently one of the fastest machines on the Speedway, Heroth continues to knock on the door of win No. 1, but in the meantime has put himself in prime position for a push at the championship as the summer months wear on. Charlotte, NC, resident Andrew Schartner now sits 4th in the standings after leading the title hunt earlier in the season. Like Bond and Heroth, Schartner too is looking for his first win of the season in the No. 18 after several lack luster heat race performances which have forced Schartner to start deep in the line-up for the always competitive SBS main events. Rounding out the Top 5 in the SBS point battle is SBS veteran and Oswego native, Tim Barbeau in No. 79. Barbeau trails Schartner by just six markers for the 4th position overall, and continues another strong season which saw him finish 8th in the order back on June 16. SBS regular Bryan Haynes was not in action on June 16 with the No. 87. Instead Nick Barzee, a Race of Champions Modified driver and nephew to Mike Muldoon, picked up the ride for his first competitive laps in the SBS division. Barzee, whose father was a former Supermodified pilot at the Speedway, finished the night in the 14th position driving the No. 87.